Front page of the "Student Life" newspaper from October 11, 1934. Includes an article on the planning of the 1934 Homecoming celebration. 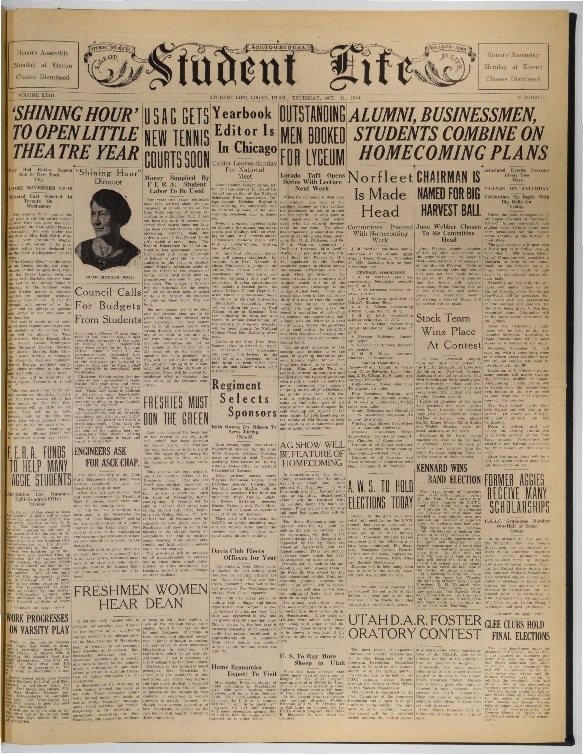 Student Life, “Front page of the "Student Life" newspaper, October 11, 1934,” USU Digital Exhibits, accessed April 24, 2019, http://exhibits.usu.edu/items/show/18483.